As It Happened | Church Street Surplus | A Continuous Lean. Church Street, New York City | 11:02 am Friday, March 4th, 2011.
me being from switzerland this is where i bought my first pendletons in the 90s! thanks for the pic! 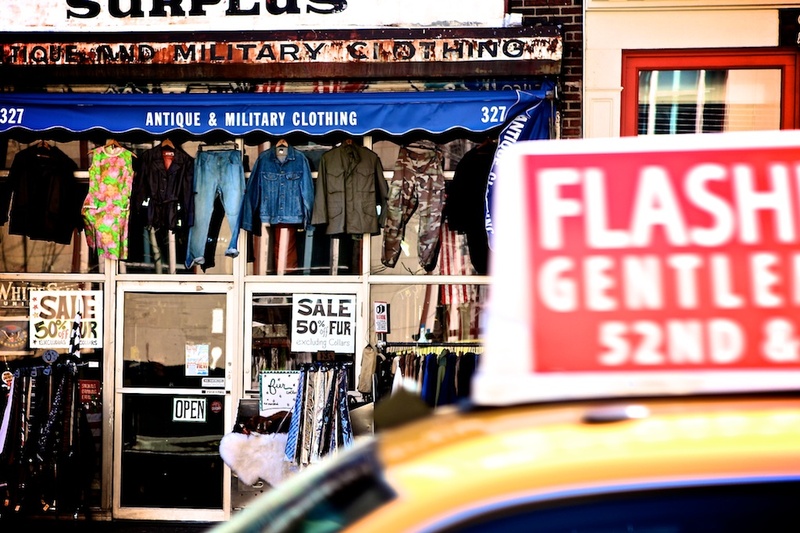 How much have bed bugs affected used clothing sales? No joke…I was just there today inside. Wow thats great that this place is even recognized, I loved this place in the 90s, and I still drop in from time to time, good prices especially for shoots, or commercial projects. Prices dont kill you, but what I love is its the old flavor of New York which I miss sometimes. One of the best shots you’ve ever taken. do agree great shot..is it film? how did you get the colours to contrast so? This store has got good stuff, but it smells mildewy, so bring a mask. i never thought i would see this place again. thanks for the memory!